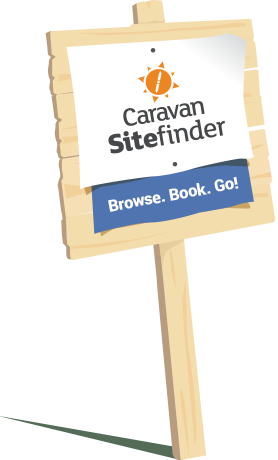 Caravan Sitefinder aims to be a complete source of camping and caravanning information for our users by listing any and all caravan, motorhome, holiday home and camping sites (“Parks”) in the U.K., Ireland and France. Caravan Sitefinder (the “Website”) pass guests to a Park in the form of enquiries, click throughs and bookings. Park operators can promote a listing on Caravan Sitefinder at various levels with a paid package, detailed on our park operator page. Caravan Sitefinder will list Parks regardless if you are on a paid package or not. Caravan Sitefinder will not remove a Park from the Website unless it is permanently closed. Parks will get higher levels of visibility by subscribing to a paid package. In some circumstances, free Parks will appear above paid ones in searches. We accept public reviews for all Parks that are listed on Caravan Sitefinder. Caravan Sitefinder will attempt to remain unbiased during the reviews process. Caravan Sitefinder does not remove reviews if they adhere to our User Generated Content Terms and Conditions. The burden of proof will fall on the Park owner that a review does not follow our guidelines in order for Caravan Sitefinder to consider the removal of a review. We encourage Park Operators to engage with guests on Caravan Sitefinder by responding to all reviews. If reviews are from before you took ownership of Park Operators park we can ensure old reviews do not count towards Park Operators star rating average. Previous reviews will remain visible on the listing for historical clarity. It is the new Park Operator’s responsibility to notify us of any change of ownership. Automatic renewal: In order to avoid any disruption to a Park Operators service, Caravan Sitefinder reserves the right to automatically invoice you for a subsequent year of service the month before Park Operators paid-for service expires. If this is the case and you do not wish to continue, Caravan Sitefinder will honour a five working days grace period from the commencement of the new subscription in order for you to notify us that you do not wish to continue with the service. Upgrades: If you choose to upgrade during the subscription term, you will be invoiced for the difference in package price. The renewal date will not change. Cancellation: Annual subscriptions are not eligible for cancellation beyond the ‘Cooling off period’. Notifications of price changes: You will be notified of any price changes during the annual renewal process. If you are automatically renewed, the cooling off period will apply from the date you receive the new invoice. Billed 1 month in advance on the same date each month or closest date there to. Upgrades/Downgrades: Any change to the package will take effect from the next billing cycle. It is the park’s responsibility to notify Caravan Sitefinder of any changes before the next payment. Notifications of any price changes: You will be notified of any price changes in advance of being charged for them. If you do not wish to continue with Park Operators service the normal cancellation rules will apply. We will notify a Park by email when a booking is taken. It is Park Operator's responsibility to ensure that Caravan Sitefinder have the correct contact details. Caravan Sitefinder does not take the full balance, only an initial payment of 15% of the booking value (equal to our commission), it is the park’s responsibility to collect the remaining balance directly from the guest. It is park’s responsibility to login to keep rates and availability up-to-date. You will need to register and become assigned to Park Operators listing in order to update Park Operators rates. Caravan Sitefinder reserves the right to change these terms and conditions at any time. It it the park’s responsibility to keep up to date with the latest version by checking back here periodically.